Field trips are an essential activity of the Hampshire Bird Club, Inc. (HBC). 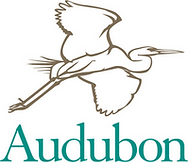 They are an important way to increase members’ interest in and knowledge of birds, birding, and bird habitat. Field trips are announced in the HBC newsletter, on the website and at monthly meetings. Each year, all HBC members are asked to sign the HBC Release Form. Minor children (under 18) must be accompanied by a parent/guardian or another adult who has written authorization to be responsible for the child’s care and conduct. Please request a form from HBC if you want to authorize another adult to accompany your child. The HBC conducts two different types of field trips: Day Trips and Overnight Trips. Day Trips are planned by the Field Trip Committee, who prepare the schedule and select leaders. Day Trips generally do not require extensive planning by the trip leader. No costs other than travel (see #4 below), meals, and incidental fees will be involved. If requested to do so in the newsletter, participants must call the trip leader in advance to express interest in the trip. This allows the leader more flexibility and the opportunity to change the trip itinerary should that seem desirable. Day trips are open to both HBC members and non-members unless restricted to members by the host site. any portion of the fee which has already been paid to another party and cannot be recovered by the club. Any excess fees remaining after costs have been met will be refunded, unless they are less than twenty dollars ($20) per person, in which case they will revert to the HBC treasury. Overnight trips are open only to HBC members who have signed a release form and who have completed a medical information form. The HBC Board recommends that passengers reimburse owners of vehicles used on HBC trips for costs associated with vehicle operation. The maximum recommended reimbursement is the federal government employee mileage reimbursement rate, rounded down to the nearest 10 cents, plus tolls and parking to be shared equally by all persons in the car including the driver. The participants (not the leader) are responsible for making carpool arrangements. Submit a trip plan to the Field Trip Committee, which must be approved by the Board at least 3 months in advance of the trip. The plan should describe in writing the nature of the trip as completely as possible. Include an itinerary, estimated cost, conditions of lodging and lead time needed for reservations, roughness of terrain, pace of the trip, extra costs not covered by the fee, date of deposit and final payment, date after which fee is not refundable, and provide a list of any specialized items that participants should take on the trip. Repeat trips led by the same leader need only submit necessary changes to the previous plan. The Board can waive the 3-month planning time if there is a special birding opportunity. Consult with the membership secretary before the trip to make sure that all participants have signed the HBC Release Form and obtain a signed Medical Information Form from each participant. Be reimbursed for all costs associated with planning (i.e. long-distance calls, postage), lodging, and transportation during the trip. The maximum reimbursement for automobile travel shall be one quarter of the costs incurred by a single vehicle under clause 4 of this policy. Upon return, provide the HBC Board with an itemized account of all income and expenses related to the trip including receipts for major expenses. The Field Trip Chair will send all participants in overnight trips the Field Trip Evaluation Form and a Medical Information Form. The completed evaluation form, to be returned to the Field Trip Chair, will help the Field Trip Committee plan future trips and provide feedback for leaders. Participants should give their signed Medical Information form to the trip leader prior to departure. Leaders of both Day and Overnight Trips are asked to submit a Trip Highlights Report to the newsletter editor for publication in the next HBC newsletter. HBC may ask professional bird touring organization to organize trips further away than the Overnight Trips. All responsibilities for planning the trip and all liability will be assumed by the touring organization. Such trips must be approved by the Board at least 6 months in advance.